Former heavyweight world title challenger Andy “The Destroyer” Ruiz Jr 31-1 (20) has his sights set on Jarrell “Big Baby” Miller 21-0-1 (18) after his 10-round unanimous decision win over gatekeeper Kevin “Kingpin” Johnson 32-10-1 (16) at the Save Mart Arena in Fresno, California on Saturday night. It was Ruiz’s second fight back since losing a competitive 12-round majority decision to Kiwi Joseph Parker 24-1 (18) for the vacant WBO heavyweight championship in Auckland, New Zealand in December 2016. The 28-year-old Californian took 15 months off after losing to Parker, returning in March with a one-round blowout of Devin Vargas. The 10 rounds against the durable Johnson were needed to shake off some of the rust. 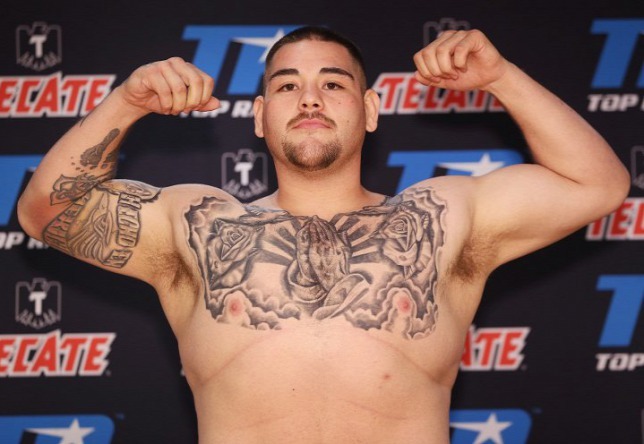 The stocky but quick-fisted Ruiz is keen to get back into the heavyweight mix and sees WBA, IBF and WBO number three Miller as the perfect opponent to launch the second stage of his professional career. The 29-year-old Miller from Brooklyn, New York, was last in action in April when he cruised to a 12-round points win over Johann Duhaupas 37-5 (24) of France. Miller came in at a career-high weight of 304.25-pounds for the fight and he looked slow and sluggish as a result. Ruiz would likely start an underdog in a fight against Miller despite his strong showing against Parker in his lone world title fight 18 months ago. In that bout Ruiz started well but the Las Vegas-based Kiwi took over in the middle rounds and landed the harder, more telling shots in the second half of the contest. Ruiz let his hands go in the championship rounds but it wasn’t enough to sway the fight his way.